Visit Pakistan and experience the sheer beauty of the country. Contrary to popular opinion, much of Pakistan is perfectly safe to visit so long as elementary precautions are taken, and, where necessary, a reliable local guide secured. I have made many friends here, and they live normal, fulfilled family lives. Indeed there is no reason at all why foreigners should not holiday in some of Pakistan’s amazing holiday locations, made all the better by the almost complete absence of Western tourists. 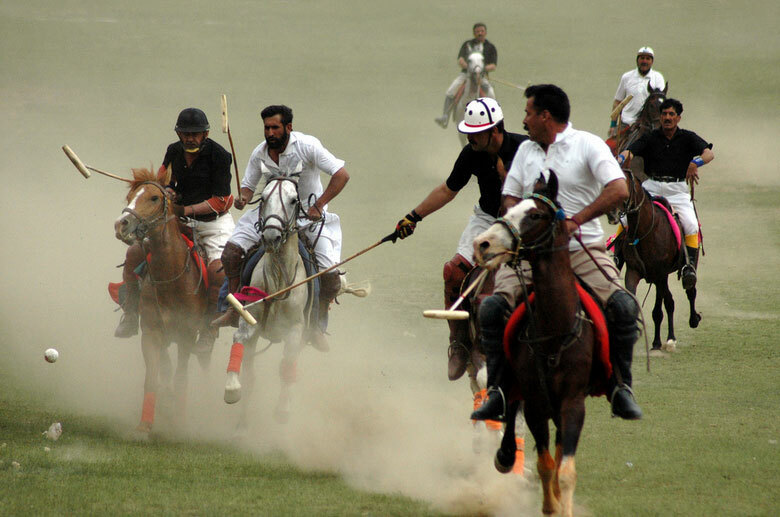 Take Shandur, 12,000ft above sea level, which every year hosts a grand polo tournament between the Gilgit and Chitral polo teams in a windswept ground flanked by massive mountain ranges. Or travel south to Mohenjo-Daro and Harappa, cradle of the Indus Valley civilisation which generated the world’s first urban culture, parallel with Egypt and ancient Sumer, approximately 5,000 years ago. Take Seema Aziz, 59, whom I met at another Lahore dinner party, and who refuses to conform to the Western stereotype of the downtrodden Pakistani female. Like so many Pakistanis, she married young: her husband worked as a manager at an ICI chemical plant. When her three children reached school age, she found herself with lots of time on her hands. And then something struck her. It was the mid-Eighties, a time when Pakistan seemed captivated by Western fashion. All middle-class young people seemed to be playing pop music, drinking Pepsi and wearing jeans. So together with her family, Seema decided to set up a shop selling only locally manufactured fabrics and clothes. So Seema set about collecting donations to build a village school. This was the beginning of the Care Foundation, which today educates 155,000 underprivileged children a year in and around Lahore, within 225 schools. I have visited some of these establishments and they have superb discipline and wonderful teaching – all of them are co-educational. The contrast with the schools provided by the government, with poorly-motivated teachers and lousy equipment, is stark. One mullah did take exception to the mixed education at one of the local schools, claiming it was contrary to Islamic law. Seema responded by announcing that she would close down the school. The following day, she found herself petitioned by hundreds of parents, pleading with her to keep it open. She complied. Already Care has provided opportunities for millions of girls and boys from poor backgrounds, who have reached adulthood as surgeons, teachers and business people. I got the sense that her project, though already huge, was just in its infancy. Seema told me: “Our systems are now in place so that we can educate up to one million children a year.” With a population of over 170 million, even one million makes a relatively small difference in Pakistan. Nevertheless, the work of Care suggests how easy it would be to transform Pakistan from a relatively backward nation into a south-east Asian powerhouse. The following morning I came across Khalifa, once again naked to the waist and sweating heavily. Pools of stagnant water lay around. This time he was hard at work with a shovel, hacking out a new path into the village to replace the one that had been washed away. A little later that morning I went to the cemetery to witness the burial of a baby girl who had died of a gastric complaint during the night. And there was Khalifa at work, this time as a grave digger. Khalifa was a day labourer who was lucky to earn $2 (£1.26) a day at the best of times. To prejudiced Western commentators, he may have appeared a symbol of poverty, bigotry and oppression. In reality, like the courageous volunteers I met working at an ambulance centre in Karachi last year, a city notorious for its gangland violence, he represents the indomitable spirit of the Pakistani people, even when confronted with a scale of adversity that would overpower most people in the West. As I’ve discovered, this endurance expresses itself in almost every part of life. Consider the Pakistan cricket team which was humiliated beyond endurance after the News of the World revelations about “spot-fixing” during the England tour of 2010. 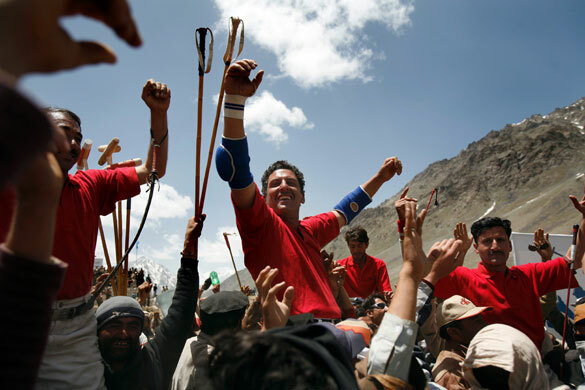 Yet, with the culprits punished, a new captain, Misbah-ul-Haq has engineered a revival. In January I flew to Dubai to witness his team humiliate England in a three-match series that marked a fairy-tale triumph. Beyond that there is the sheer beauty of the country. Contrary to popular opinion, much of Pakistan is perfectly safe to visit so long as elementary precautions are taken, and, where necessary, a reliable local guide secured. I have made many friends here, and they live normal, fulfilled family lives. Indeed there is no reason at all why foreigners should not holiday in some of Pakistan’s amazing holiday locations, made all the better by the almost complete absence of Western tourists. Take Gilgit-Baltistan in the north, where three of the world’s greatest mountain ranges – the Hindu Kush, the Himalayas and the Karakorams — meet (here, here and here). This area, easily accessible by plane from the Pakistani capital of Islamabad, is a paradise for climbers, hikers, fishermen and botanists. 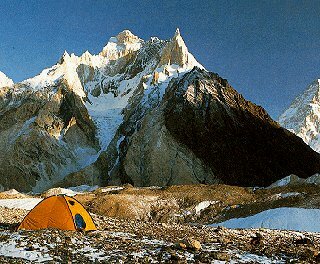 K2 – the world’s second-highest mountain – is in Gilgit, as are some of the largest glaciers outside the polar regions. Of course, some areas of Pakistan are dangerous. A profile of Karachi – Pakistan’s largest city and commercial capital – in Time magazine earlier this year revealed that more than 1,000 people died in 2011 in street battles fought between heavily armed supporters of the city’s main political parties. Karachi is plagued by armed robbery, kidnapping and murder and, in November last year, was ranked 216 out of 221 cities in a personal-safety survey carried out by the financial services firm Mercer. But isn’t it time we acknowledged our own responsibility for some of this chaos? 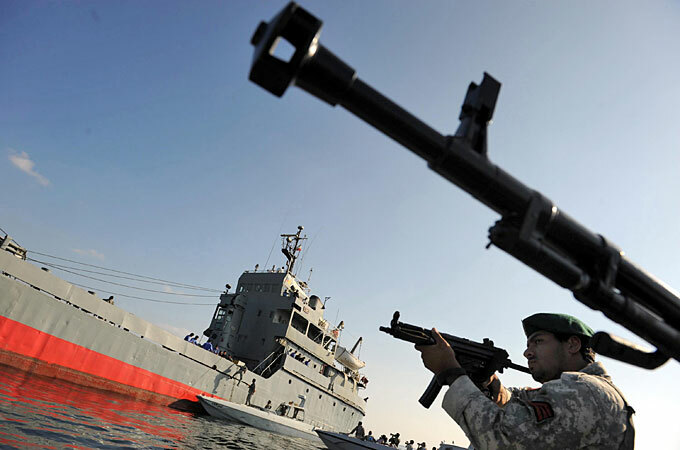 In recent years, the Nato occupation of Afghanistan has dragged Pakistan towards civil war. Consider this: suicide bombings were unknown in Pakistan before Osama bin Laden’s attack on the Twin Towers in September 2001. Immediately afterwards, President Bush rang President Musharraf and threatened to “bomb Pakistan into the stone age” if Musharraf refused to co-operate in the so-called War on Terror. The Pakistani leader complied, but at a terrible cost. Effectively the United States president was asking him to condemn his country to civil war by authorising attacks on Pashtun tribes who were sympathetic to the Afghan Taliban. The consequences did not take long, with the first suicide strike just six weeks later, on October 28. After reading this article all I can say is a big thank you for this article to the writer and the reproducer.